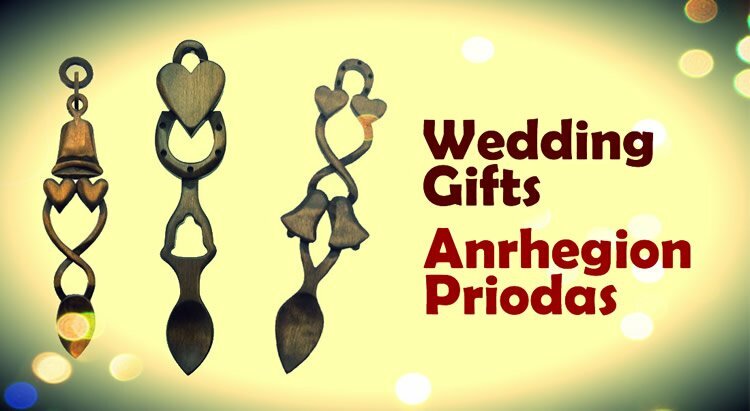 Welsh love spoons are decoratively carved wooden spoons that are often presented as a gift of romantic intent. The love spoon is normally decorated with various symbols of love and were traditionally intended to showcase the skills of the carver. The giving and receiving of lovespoons between lovers, friends and family is a Welsh custom that dates back to the 17th century. Young men over the centuries lovingly carved a love spoon from one piece of wood using symbols of love such as hearts, celtic knotwork, bells and horseshoes to create a beautiful and lasting gift. 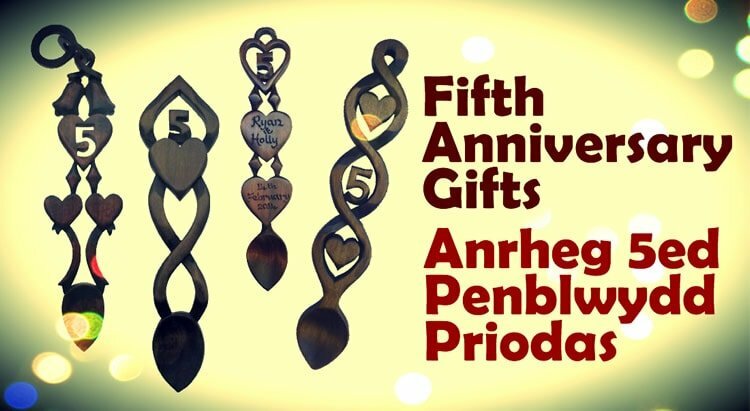 Special Occasions: Over the past century, the Welsh love spoon tradition has enjoyed a revival, and is now quickly spreading around the world as people strive to find unique and treasured gifts to celebrate and commemorate special occasions such as Weddings, Anniversaries, Engagements, Valentine's Day, Mothers' Day, Birthdays and New Births or simply to say 'I Love You'. 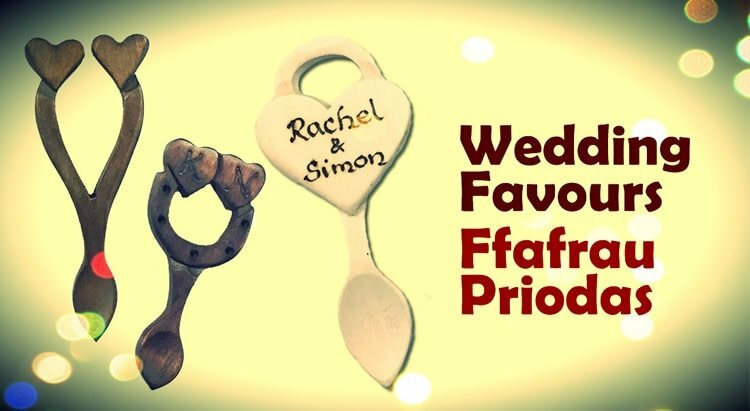 Free Engraving: We can engrave names and a date or a special message on to our hand-carved love spoons. Let us know when placing an order exactly what you would like engraved on to your love spoon. Fast Delivery: All orders are dispatched within 2 working days. Orders usually take a day from dispatch to arrive in the nations of the United Kingdom, and between 5-10 days worldwide. History: The custom of carving and giving Love Spoons originated in Wales hundreds of years ago. As well as giving gifts of sweets or cakes, the young Welsh lover would also give a special, more personal gift to the object of their desire, a hand-carved Love Spoon. One of the earliest examples can be seen at the Museum of Welsh Life in St. Fagans, dated 1667. 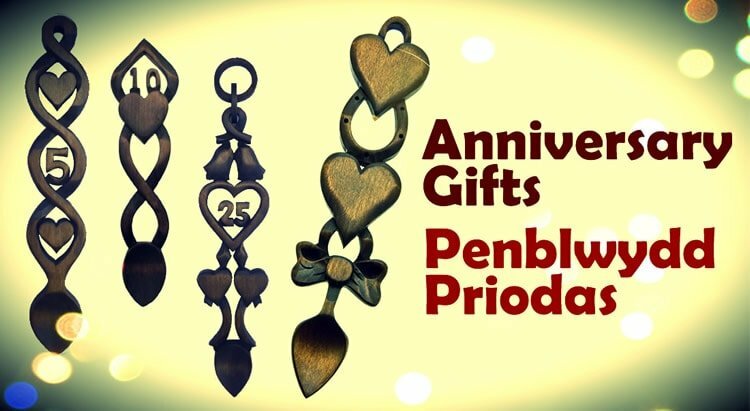 There are both Welsh and English words that have their origin in the custom of giving lovespoons. The English word 'spooning' now refers to a pair kissing or cwtching (cuddling), and in Welsh, 'sboner' is used in parts of Wales to refer to a boyfriend. Although mostly considered a Welsh tradition, love spoons have been produced throughout Europe, especially in other Celtic countries, such as Brittany where the Breton name for love spoons translates as “marriage spoons”. Symbols: There has been much debate on the significance of the different symbols and motifs used in the carving of lovespoons. Many of the young carvers were shy and unwilling to show their emotions, and therefore they would attempt to convey their true feelings through the use of various symbols. Over the centuries, many more symbols and motifs have been added and as the love spoons became more elaborate and decorative, they have become collectables. When buying a love spoon for your beloved, you may wish to select one with symbols that have most meaning to you. 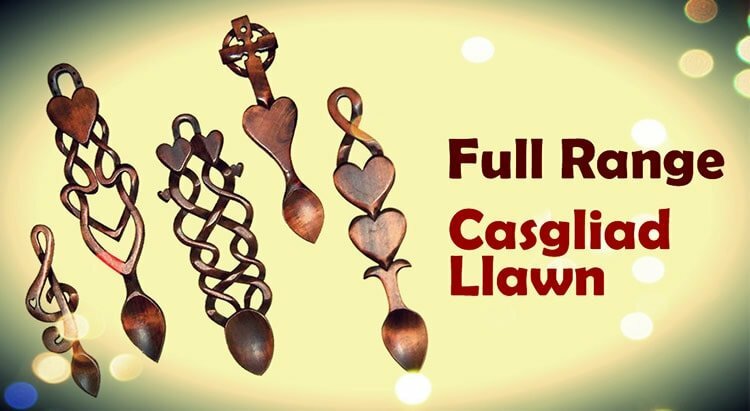 Carvers: Our range of love spoons are the creation of a group of wood-carvers based in the southern valleys of Wales. All of our love spoons are hand-carved. Traditionally it was important for the carver to demonstrate his ability, and the carvers would create more complex patterns to create an impression, and the size of the spoon reflected the extent of the love spoon carver's passion. Wood: Lime wood from Monmouthshire is the chosen wood for our carvers, and using their unique skills, they create wonderful objects of love. Traditionally, a love spoon is carved from one piece of wood. The craftsman would take a log and split it in two, and would use one of the pieces to form the outline of the lovespoon. He would then work at the spoon in more detail, carving symbols such as a heart or horseshoe, before carving the spoon's bowl.